I had the pleasure of presenting our views on the impact that the Internet of Things will have on our cities… offices, shops and homes. 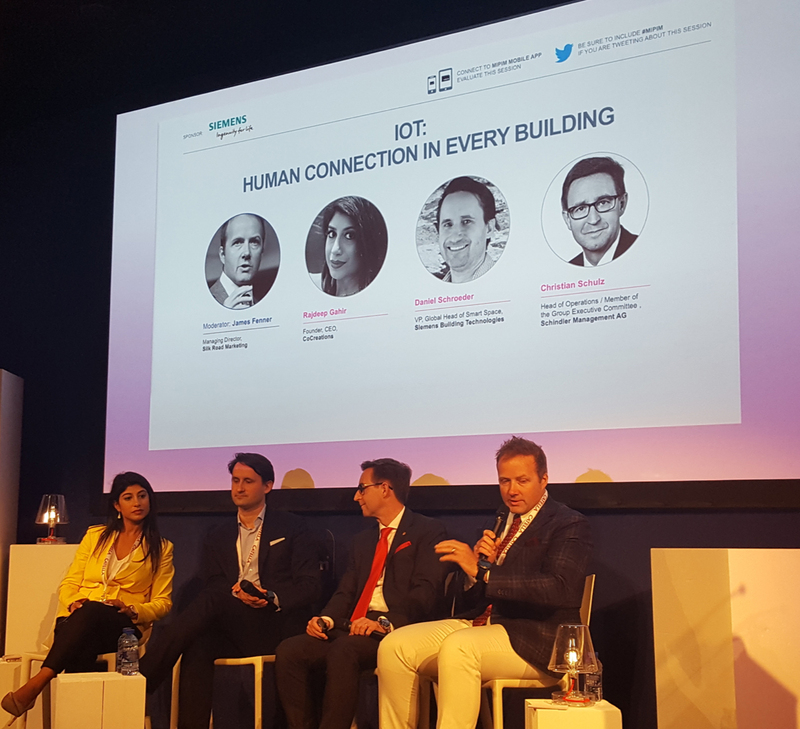 I then hosted a panel with some very knowledgeable people within the sector, namely: Rajdeep Gahir from CoCreations ; Daniel Schroeder from Siemens; and, Christian Schulz from Schindler. What was most rewarding about the consistency amongst the panel were the views on how the category is moving to be more customer focused. Be it in the home, office, shop or street there’s now a clear focus on how IoT can make life safer, cheaper and easier. Don’t hesitate to get in touch if you’d like us to share our thoughts with you.